It’s small. It’s sleek. It’s become an emblem for those in the “cool” crowd. Although this might sound like the latest product dreamed up by Tim Cook and company, it also describes the vaporizers made by e-cigarette company Juul, and — much like with the adoption of the iPod, iPhone, and other Apple products — “Juuling” has become an increasingly popular habit among teenagers. So much so that the Food and Drug Administration has launched an investigation into whether the brand’s messaging was formulated to appeal to a younger crowd. It’s not hard to see how Juul appeals to an underage crowd. From the days of James Dean’s Rebel Without a Cause, cigarettes have been established as a form of rebellion against establishment, something that signified a sense of nonconformity and, therefore, coolness. Aside from their clean, aesthetically pleasing designs, Juul requires users to insert “pods,” or small containers of nicotine e-liquid, into the cartridge to actually vape. With names like Cool Cucumber and Crème Brûlée, these pods come in flavors that could be a Jolly Rancher or Lip Smackers. 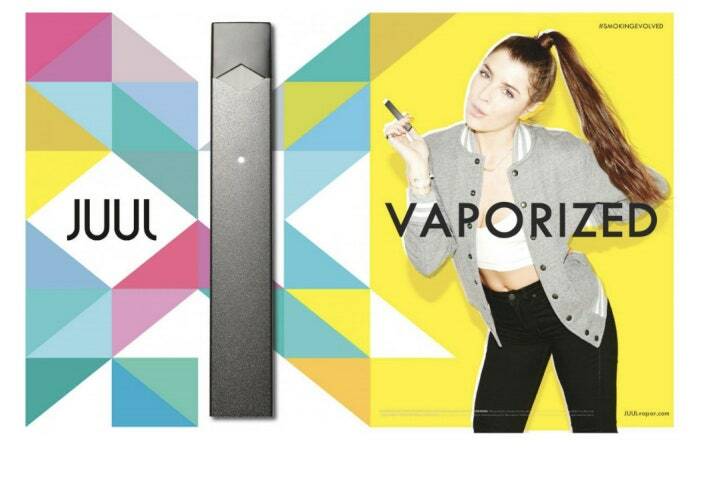 Initially, Juul’s advertisements featured young people in hip clothing enjoying the USB-like devices against bright backgrounds and colorful patterns. Even the small touches of the product — a battery life that appears after tapping the device, for example — seem youth-friendly, almost akin to the fidget spinner. So is this a case of unintended secondary audience appeal or something more sinister? And does it really matter? Either way, Juul is stuck with a large underage client base becoming more and more addicted to their product even as outrage and concern continues to mount. What really matters is the story — or lack thereof — that Juul as a brand is trying to tell. While the brand has solidified around a health-conscious message at this point in their evolution, things were initially a lot more nebulous. Teenagers saw a product that appealed to them and — in Juul’s self-made messaging vacuum — and created their own story for the brand, complete with memes and hashtags. The proliferation of social media and transparency of customer reviews has made it more difficult for a brand to truly control the way they’re perceived. Although social media influencers and other types of marketing have emerged to combat this shift and bring the power back to the brand themselves, it’s often the customers that, in large part, control how a brand is perceived. Developing a product that resonates with the wrong audience isn’t the only way that brands end up attracting unwanted customer segments. The price of a product or service and the perceptions that accompany that price point can also send a message to an audience that the brand wasn’t intending to target in the first place. Ralph Lauren, for example, relies on affordable, accessible retailers like Macy’s and T.J. Maxx to fuel more than 40 percent of their sales — despite presenting themselves as a place to find high-end, preppy basics that would look best on a tennis court or on a yacht. Ralph Lauren’s upscale clientele has noticed the dichotomy that these conflicting messages send and reacted accordingly: sales have dropped, shares fell, and the retailer was forced to close their iconic flagship location on Fifth Avenue. CEO Patrice Louvet acknowledged that their supposedly high-end yet discounted clothing was hurting the brand, noting that the brand’s path to retail redemption “isn’t selling a generic product with more and more discounting.” Compared to a once similar brand like Hermès, which maintains high prices and, therefore, exclusivity (and has experienced continued global sales growth), Ralph Lauren has become more akin to Old Navy or The Gap in the eyes of the moneyed clothes shopper. Forming ill-suited brand partnerships — whether in the creation of a joint product or for a more short-lived PR campaign — between brands with two very different audiences can also attract unwanted customer segments (and chase others away). When Levi’s and Google teamed up to create a “smart jacket” that can connect to a user’s phone and make it easy for cyclists, for example, to safely and conveniently control their phones on the go, it sounded like a reasonable co-branding experiment to connect Google’s tech-savvy customer base with Levi’s rugged, utilitarian audience. Those that tried out the jacket, however, failed to see how it actually provided any real value or usefulness in their lives beyond simply providing a neat, futuristic way to toggle between song selections with a swipe of the sleeve. The jacket was only available in a few boutique retailers at first, a move that most likely didn’t appeal to Levi’s established salt-of-the-Earth, hard-working customer base. On top of that, the jacket could only be washed up to 10 times — any more than that, and it would lose its “smart” capabilities. Although the quality of the jacket was on par with Levi’s other items, marrying the jacket to Google’s experimental and forward-thinking technology — that didn’t turn out to be so utilitarian and necessary after all — left Levi’s customers feeling alienated: sales were slow to take off. Conversely, Apple and Nike have formed a fruitful, lasting partnership creating co-branded wearable tech over the years by recognizing how they can use their brands to attract the same kinds of customers. Nike’s target audience of younger athletes overlaps with Apple’s youthful evangelists; these audiences also appreciate the innovation and inspiration inherent in both brands, making the their collection of smart watches, footwear, and other wearable devices well-suited to these audiences. Brands can also attract the wrong customer segments with an external message in the form of advertising, PR initiatives, or other marketing efforts that don’t actually align with their core brand story. 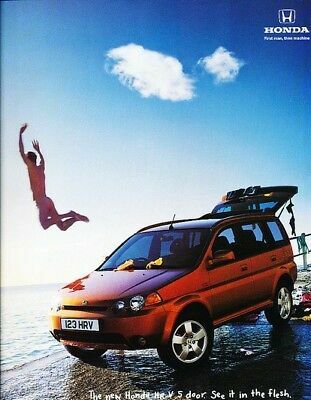 Car companies have often fallen victim to this trend: Honda chose to target their external messaging for models like the HR-V and Jazz toward a younger crowd, creating ads that prominently featured young people doing adventurous things with the cars or ones that glamorized the car against a pop-techno soundtrack — all of this despite the fact that those particular models actually caught on with a decidedly older crowd. Honda’s core brand, built around the tempered and unsexy mission of creating a “safer, smarter world in which people experience the joy of mobility” just didn’t gel with a younger, hipper audience. Contrast Honda’s trying to attract an ill-fitting customer base to New Balance’s approach. Entering the highly competitive sneaker space where major players like Nike and Reebok have long relied on famous athletes and younger audiences to build demand, New Balance crafted a brand story that empowered a completely different customer base. Focused on creating shoes that were functional and well-fitting — even for larger feet — over ones that were trendy or stylish made the company a mainstay with less fashion-conscious baby boomers in the late 1990s that had largely been ignored by other popular sneaker brands, allowing New Balance to have a coherent brand image and their sales to grow while competitors’ sales became stagnant. Finally, the wrong customer segment can also be the easiest one to reach, making it tempting for a brand to try to shoehorn their story around the needs and wants of this audience even if it’s not the right fit. This can be especially alluring strategy to startups just looking to grab onto some kind of customer base to stay afloat. Going after just about anyone with a computer and an internet connection ended up contributing to Friendster’s demise: researchers from the Swiss Federal Institute tasked with picking apart the reasons behind the death of the social media site found that, though the site had millions of users, they were largely isolated from one another, forming a bunch of smaller groups rather than a more connected, cohesive whole. From product development to external messaging, there’s no shortage of ways for a brand to find a foothold with the wrong crowd. Attracting a customer base in ways that the brand isn’t in control of or doesn’t want to endorse can be a hard trend to overturn. Rather, starting with a core brand story around which to shape all operations of a company is like providing those customers with both a blueprint to shape their perceptions of the brand and a bat signal to those with who the brand is trying to connect. Without a clearly defined story, a brand can easily surrender their image to the wrong customers, creating an uncontrollable brand identity, and, in the case of Juul, an unwanted and even illegal audience.